After being delayed for a week by another boat with some serious problems and a shortage of cradles in the Boatyard, we finally hauled out and got the work we had planned two weeks for done in one. The Boatyard had a nice little powerwashing cartel going. Nobody wanted to let you use theirs, not even for money, so we had to hire someone at a whopping €70 to pressure wash the boat for us. At least he did a thorough job. In hindsight, I could've almost bought the smallest Kärcher for that money and then given it away afterwards (I don't think we have the space to keep it). Oh well. 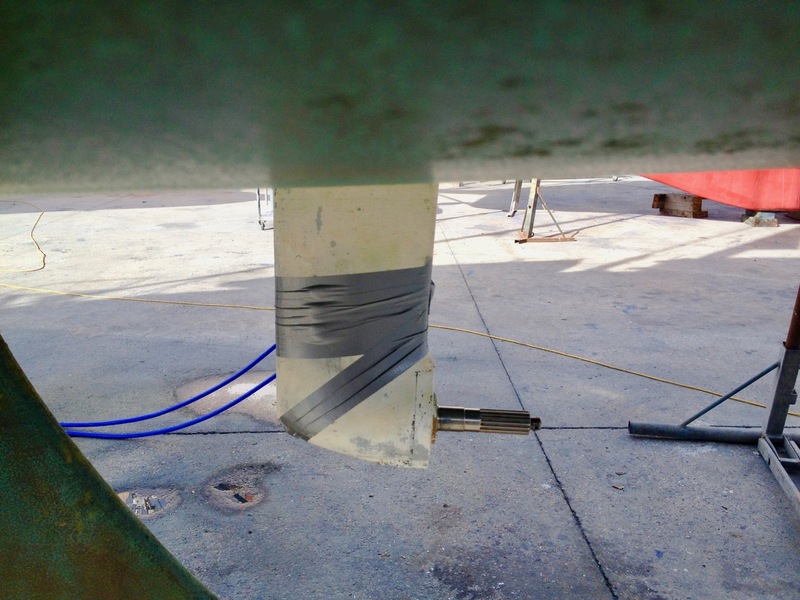 I knew there was probably some water left in the bottom of the rudder that didn't drain completely out two years ago, so I drilled a little drain hole at the bottom. A small amount of water came out. 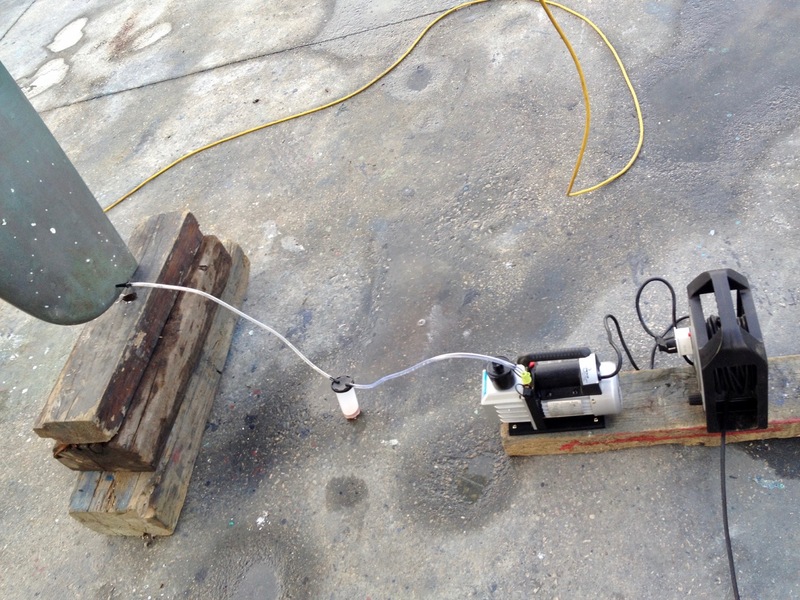 Then I remembered I had a vacuum pump this time, used to service the refrigerator. I plugged this into the rudder, with the hoses and bottle from the Mityvac and voila, the pump sucked more than 300ml water out of the foam and I left it running a few hours until no more came out. Much better than just gravity! The Coppercoat had performed as expected (see also my previous articles on the subject) and we corrected my earlier mistake of not applying it high enough and raised it well above the waterline this time. Again we had great luck with the weather for it - it was warm and dry all week. 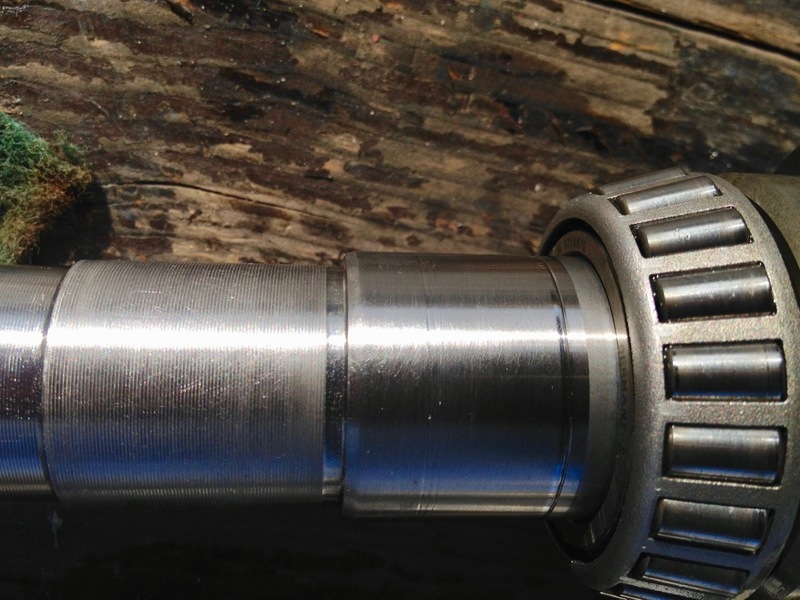 Two grooves of propeller shaft wear - the inner one being more severe. Everything went well, we got all the planned work done, and of course found some more for next time. The propeller shaft on the saildrive had some wear where the oil seals are (very common issue). Not critical yet, but I got all the measurements so I could source some Speedi-sleeves for the next time we would haul out. Blu-tack and duct tape seal the water intakes. We then poured vinegar into the sea water strainer and left it over night to clear fouling of the water passages in this saildrive leg. We had a bit of time left, so did a half-assed attempt at some topside polishing, but the polishing machine we thought we'd borrowed turned out to be just a random orbital sander like ours. While great for sanding, the rotation stops as soon as you apply some pressure, so it just doesn't work very well for polishing. 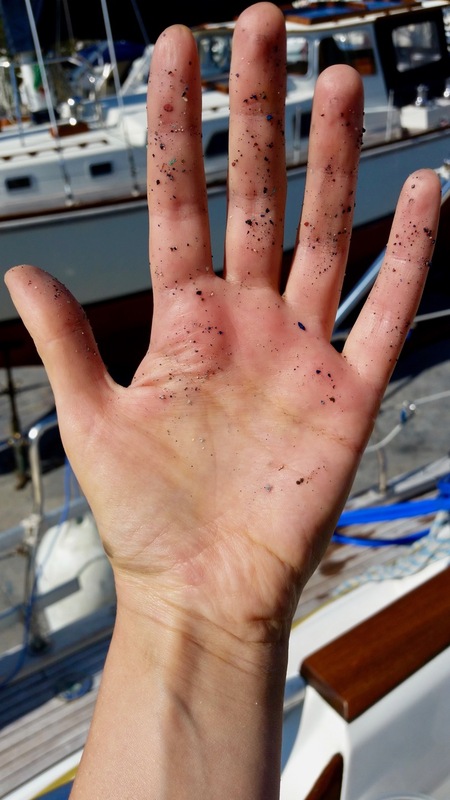 Living up a tall ladder in a Boatyard isn't all that great and we were glad to be back in the water after just a week, cleaning up the dirt and resting our aching limbs.